Some people may prefer not to use cranberry juice while cooking because of allergies. High in alkaline, cranberry juice might not agree with all digestive systems. For all of the substitutions that are listed here, use the same amount of substitute ingredient as you would cranberry juice. Other fruit juices can be substituted for cranberry juice. This isn't limited to dark, rich juices like blueberry, raspberry or red grape. You can also use pineapple juice, or citrus-based ones like orange or lemon. 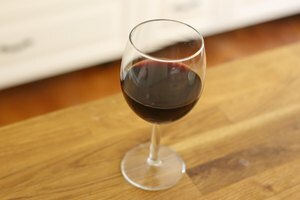 Red wine is a suitable replacement for cranberry, and the fruit juice is also recommended to be used in place of red wine when people don't want to cook with alcohol. It's not necessary to use a wine that's made with cranberries; any red type will suffice. Try using vinegar flavor instead of cranberry juice. 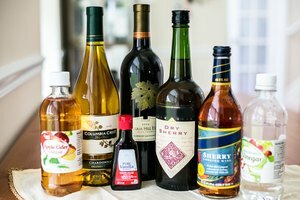 Most people are only familiar with apple cider-flavored vinegar, but there are also gourmet varieties available. 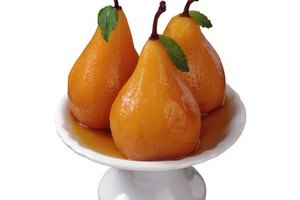 While there are vegetable-flavored vinegars to choose from, it's best to stick with fruits-flavored ones like peach, strawberry or pear. Broth is another option for when you're out of cranberry juice. 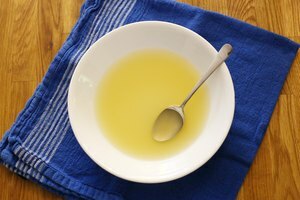 Vegetable broth is permitted, and so is broth made from chicken or beef. It doesn't matter whether you use the canned variety or make it yourself.